It is a great and affordable base from which to explore the area and wildlife. The Arco Iris Lodge offers a variety of room styles and rates that can meet almost any budget. 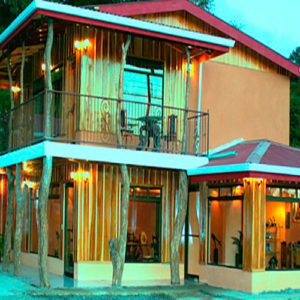 Arco Iris lodge is a rustic hotel located 2 minutes walking distance from town. With its impressive garden surrounded by fruit trees and trails you won’t feel more relaxed. 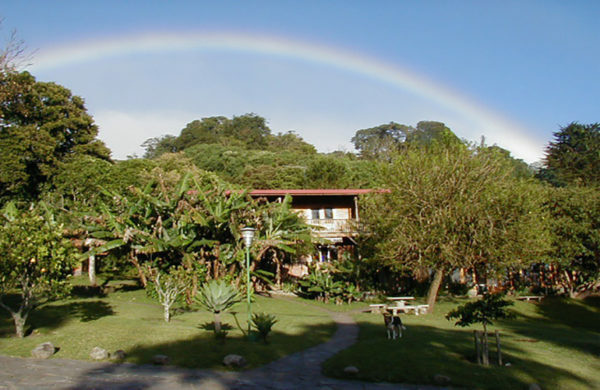 Arco Iris Lodge is a paradise in the middle of town! They offer cabins adapted to any requirements from budget friendly cabins to Honeymoon cabin perfect for romantic couples and families as well. They offer a bufette style breakfast with homemade bread and other delicious things from their organic garden which is totally worth the extra cost. They offer a small library which you can check out or just enjoy the day in the garden looking out for the animals or birds that might show up. 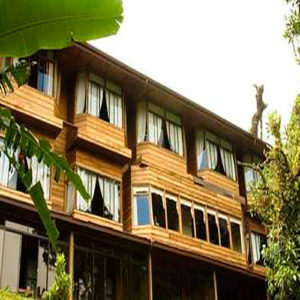 The Monteverde Country Lodge is a simple lodge that places a large emphasis on environmental sustainability when it comes to their hotel operations. Along with the sister property Hotel Poco a Poco, committed efforts are made to have a low impact on the surrounding natural environment. 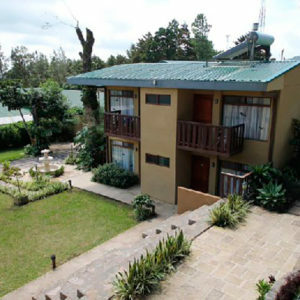 We consider it a good value hotel in Monteverde!